Winter Retreat is an important time of reflection and renewal for the monks. During this time, monastics are more solitary. They focus on quiet study, investigation and meditation. We can support them during their retreat by limiting our conversation and requests for their time. Alms food and meals are still needed, but many who offer during this time simply offer their food without much, if any, conversation. Please check the Hermitage calendar to see when meals are needed. Contact the meal dana coordinator to schedule your meal offering or ask questions about meals or alms. You now have the option of ordering food at a local restaurant, if you’re concerned about driving in winter weather. TUESDAY NIGHTS — Meditation with the monks, 6:30 – 8:00 pm, at Yoga Samadhi, White Salmon, WA. Meditation, then Dhamma talk. When the Pacific Dogwood catches rays of sunlight filtering through the trees, its white flowers light up the forest. Even as the flowers fade and the petals drop, they still color the forest with the clusters of brilliant red berries they leave behind. Now, the flowers light up our new logo — in full bloom on pacifichermitage.org. Unlike some previous years, we will have monks in residence throughout the winter. 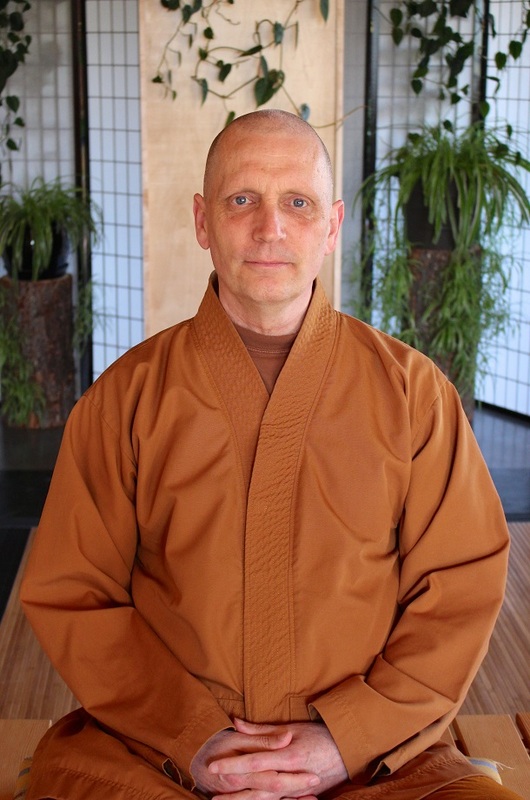 Ajahn Kassapo will remain at the Hermitage through Winter Retreat. He’ll be on his own through November 28, then will be joined by Venerable Kovilo for the remainder of the retreat. Ajahn Sudanto left November 14 for the Abhayagiri Thanksgiving Retreat, and will travel from there to Birken Forest Monastery for the first part of his Winter Retreat. He’ll return to the Hermitage after the meal on January 30. About this time every year, the Hermitage Board of Stewards sends out a letter that summarizes the year’s key events, projects and plans. 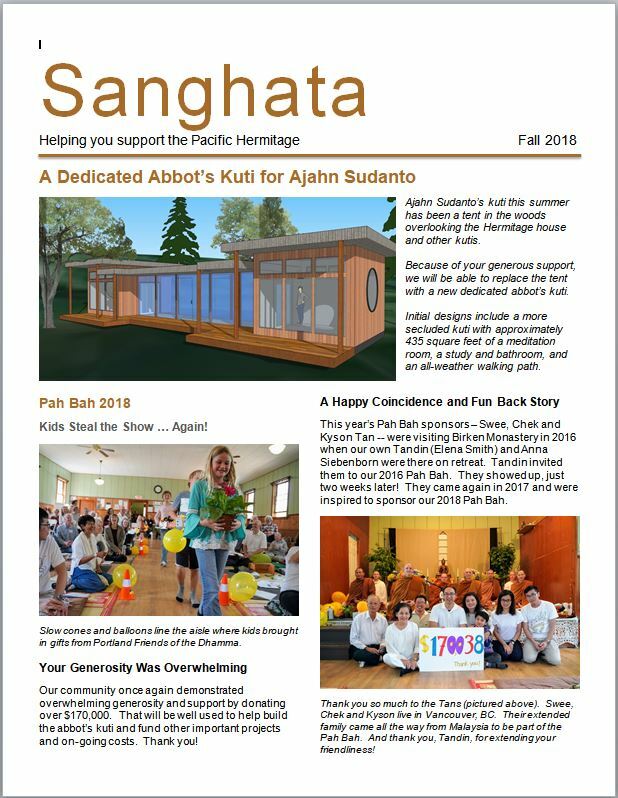 Click here to see the complete 2018 Sanghata letter. Learn about this year’s Pah Bah, long-range planning, a dedicated abbot’s kuti, and more. Visit sanghata.net to learn about the board and how to support the Hermitage. We’re deeply grateful for your generous support. Stay Up to Date by Email: Please fill out or update the sign-up form on this page. 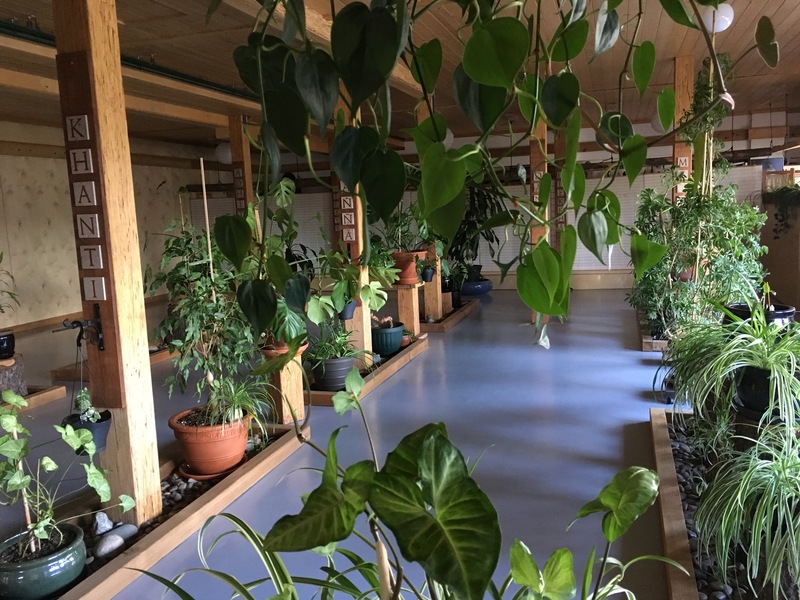 Join the Pacific Hermitage monastics and lay community members for this opportunity to deepen your meditation practice in a beautiful British Columbia setting. Applications accepted starting November 1. Visit Ajahn Sona’s YouTube channel to see why he is respected as such a gifted and clear teacher! The application period is closed, but you can apply to be on the wait list using the Retreat Website. Browse for information or click on”Apply” to fill out the application form. The application period begins November 1. Ajahn Sudanto will make the final decision on the list of participants. Week #1 (May 1 to 8) – Arrive the evening of May 1 and depart early May 8. Week #2 (May 8 to 15) – Arrive the evening of May 8 and depart early May 15. Both Weeks (May 1 to 15) — Arrive the evening of May 1 and depart early May 15. Birken Forest Monastery is south of Kamploops, in British Columbia. 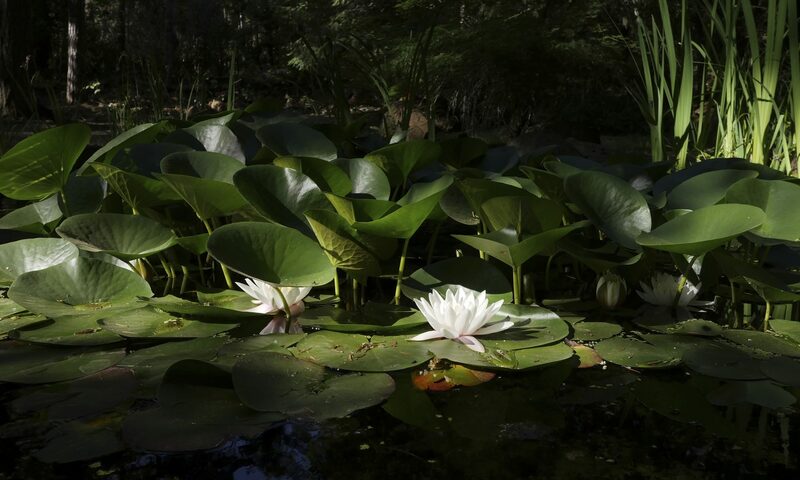 Meditate in the peaceful sala or on the indoor walking paths, or take your meditation outside in the fresh air, amidst trees, ponds, lakes and trails. Visit the Birken website for more information and pictures. Be sure to look at “Visits” and read the Guest Guidelines. There is no cost for the retreat. It is offered on a “dana” basis. You give what you feel called to/are able to give. Food and lodging are included. Like the Hermitage, Birken is supported only by offerings from lay supporters. Almost everyone is a little apprehensive about going to their first retreat, wondering if they’re really up for it, will be able to handle it, etc. Don’t feel self-conscious about asking questions or talking about what might hold you back. Spend some time exploring the Birken and Retreat websites and talking with others who have attended Birken retreats, then feel free to email our retreat coordinator, Chevy, with questions. Please do not contact Birken Monastery. They have limited staff and time to devote to questions. More information will be added to the retreat website as it’s developed, including ride sharing and travel details. How Much Wood Does a Woodchucker Chuck? Plenty! Hermitage helpers were full of smiles, hard work and good company as they chucked wood at the last work parties for 2018. Many thanks to the 20 or so people who helped gather, split and stack wood. Special thanks to Holly Griswold for once again lending us her log-splitter. These newest stacks of wood will be drying for use next winter, while this winter the monks use up the seasoned wood you helped stack in previous years. The Hermitage relies primarily on wood to heat the main house, so the monks are very grateful for your help. Ajahn Geoff -Thanissaro Bhikkhu will lead the regular Tuesday night meditation at Yoga Samadhi, 6:30 – 8:00 PM, White Salmon, WA. He’ll also be visiting the Portland Friends of the Dhamma November 2-4. Check their website for more information about his visit. NOVEMBER 10 — Half-Day of Meditation with the Monks: Join Ajahn Sudanto and Ajahn Kassapo, 1 – 5 PM at Yoga Samadhi, White Salmon, for the last 2018 half day of walking and sitting meditation. Brief dhamma talk. Cushions & chairs available. CANCELLED: Last PFoD visit of the year has been cancelled, since Ajahn Sudanto will be away, helping lead the Abhayagiri Monastic Thanksgiving Retreat. TUESDAY NIGHT SITS — Community Meditation continues, every Tuesday night, 6:30 – 8:00 pm, at Yoga Samadhi,White Salmon, WA. Cushions & chairs available. Ajahn Geoff leads Tuesday night meditation in White Salmon, November 6. Ajahn Sudanto leaves November 14 for the Abhayagiri Thanksgiving Retreat, and will travel from there to Birken Forest Monastery for the first part of his Winter Retreat. He’ll return to the Hermitage after the meal on January 30. Winter Retreat begins December 1 and lasts through the end of March. Ajahn Kassapo will remain at the Hermitage through the Winter Retreat. He’ll be on his own* from November 14 – 28, then will be joined by Venerable Kovilo (from Abhayagiri). *A Note About Meal Offerings to One Monk: Monastic rules do not allow one monk to be alone with women for any significant amount of time. If you’re planning to offer a meal to a single monk, you can either just drop off the food to him (you must hand it to him) or arrange to have another male with you. It is fine to offer food on alms rounds, since it is a more public setting.